In a 2013 whistle-blower lawsuit, the ex-employee said she was threatened with retaliation for saying workers were deficient in processing licensing applications and asserting that her bosses told her she "worked for the NRA." 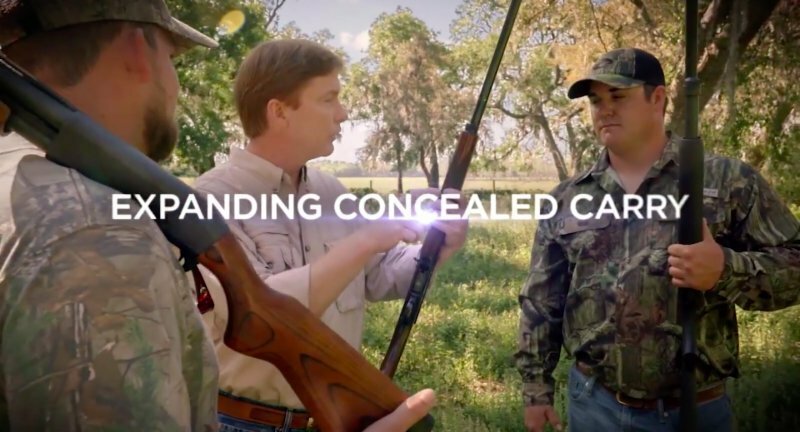 A former supervisor in Adam Putnam's Florida Department of Agriculture and Consumer Services sued the agency in 2013, claiming "gross misconduct" in the handling of gun permit applications and that quotas for approving concealed weapon permits "guaranteed abuse," according to documents reviewed by the Tampa Bay Times. In a whistle-blower lawsuit filed in a Leon County circuit court, the former chief of the Bureau of License Issuance, Xenia Bailey, said she was threatened with retaliation for saying workers were deficient in processing licensing applications, and that her bosses told her she "worked for the NRA (National Rifle Association)." The agency denied most of Bailey's allegations in court filings. But in a settlement signed in 2016, the agency agreed to pay $30,000, without admitting wrongdoing, including a $10,000 lump sum payment to Bailey and $20,000 for her attorney's fees and costs. The agency's elected leader, Putnam, announced his bid for governor six months after the settlement was reached. "The complaint alleges unsubstantiated claims made by a former employee who resigned as she was being terminated," Putnam's counsel, Steven Hall, said in a statement last week to the Times. "The department continues to deny any wrongdoing or unlawful acts." Reached by phone Friday, Bailey declined to comment on her case. Bailey's lawsuit and the payment of public money to settle it is yet another incident that raises questions about a concealed weapons licensing program that Putnam touts as one of his top accomplishments. On June 8, the Times reported that state investigators last year found Florida failed to review results from a national background check for concealed weapons permits, an oversight that led to 291 people getting a license to carry a concealed weapon in public who were supposed to be denied. Earlier this month, the Associated Press reported that state investigators found that 48 employees under Putnam made mistakes while reviewing applications for licenses. Some of them didn't read arrest reports or the full applications when issuing permits, including ones for concealed weapons. "Various employees were found to have approved applications without ever viewing any portion of the application," said the inspector general's report in the case, dated Jan. 2, 2013. Bailey ran the license issuance bureau during that investigation, but the inspector general's report makes no mention of her being interviewed. Putnam's office declined to explain why. She left her $65,000-a-year position a month after the investigation completed, after a year on the job. Bailey's Feb. 13, 2013, resignation letter foreshadowed the legal conflict. "I find it ironic that you feel I did not move the Bureau of License Issuance forward when your past leadership … allowed licenses to be issued for the sake of quantity opposed to quality where the public's safety is at risk," Bailey wrote. The letter was directed at the man who hired her as a supervisor, Grea Bevis, the director of the agency's Division of Licensing. Later that year, Bailey sued. In her lawsuit, Bailey said she emailed Bevis warning of "many operational deficiencies including the improper issuing of gun licenses to convicted felons that had been going on for years in the division." Bevis said in a 2016 deposition he did not recall Bailey bringing that to his attention. Instead, Bevis said he initiated the internal investigation into those 48 employees after he discovered a state worker had granted a security guard license to a convicted felon. In her lawsuit, Bailey alleged that two supervisors, Bevis and assistant director Ken Wilkinson, "told (her) that she worked for the NRA," and insisted that employees process 75 applications a day for concealed weapons licenses. After Bailey cut the quota to 60 cases a day "to ensure accuracy," she alleged in her lawsuit, her bosses raised it back to 75 a day. Bevis acknowledged in his deposition that the 75-case-a-day quota "sounds about right." The NRA question was not raised in the deposition. During her time at the agency, Bailey submitted complaints that initiated two other Inspector General investigations — a probe into time sheet fraud and another into threats Bailey received from a coworker. After the allegations, the coworker was moved to another office. In the deposition, Bevis explained Bailey's firing: "I told her that her services were no longer needed. I told her her management style was not what we were looking for." Bailey said she was told she would be fired if she did not resign, which Bevis confirmed. Bevis testified that Bailey was counseled in writing about her "aggressive" approach two months before she was asked to resign. Bevis also said Bailey never received a job evaluation or had a chance to correct her behavior before she was fired. Court files don't explain the settlement, and neither does Bailey or Putnam's agency. Putnam and his office have defended the agency's response to the 2017 investigation that led to 291 permits getting revoked. Putnam has repeatedly blamed one employee, Lisa Wilde, for not doing her job and has said that the missed checks pertained only to non-criminal disqualifying factors such as drug addiction. The lapse came at a time when the agency was managing a surge of nearly 300,000 applications. The Times reported last week that the problems went beyond a single fired worker. Mailroom employees said they were overwhelmed by a clamor for licenses and did not understand the background check system. The Brady Campaign and Center to End Gun Violence has called on Putnam to resign his elected Cabinet post and end his bid for governor, citing these recent reports "as proof that he cannot be trusted to keep his constituents safe." 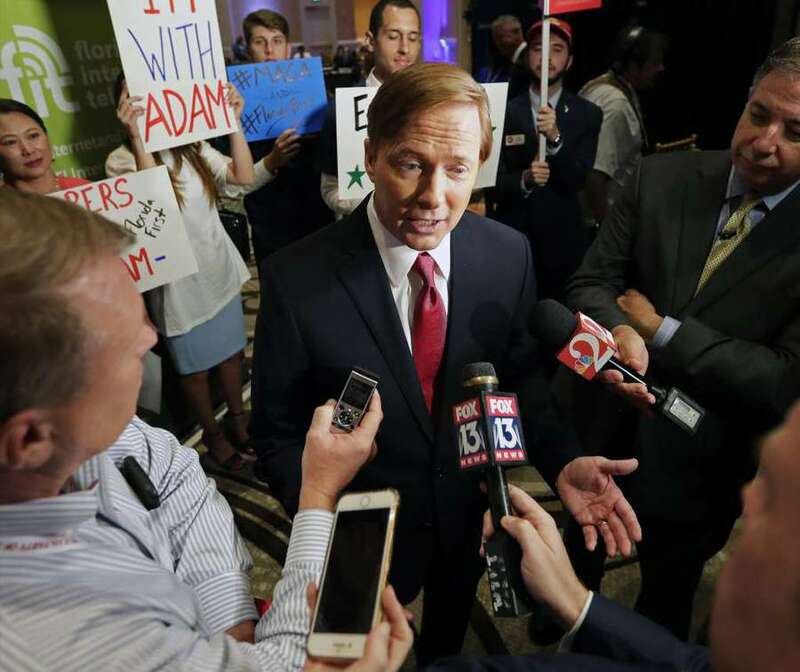 "This debacle has been an absolute failure of leadership by Adam Putnam since the start," said Kris Brown, co-president of the Brady Campaign and Center, in a statement. The group favors gun restrictions, which Putnam opposes.